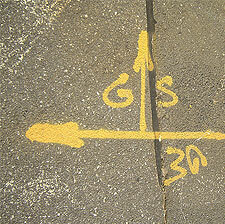 ACS Underground Solutions specializes in Utility Mark Outs in Connecticut . When it comes to Utility Mark Outs, it is important to choose a highly trained expert. We are the pros at Utility Mark Outs, and we are fast and reliable. Call 203.544.7190 or email info@acsunderground.com. Our utility markout services help reduce personal injury risks, eliminate costly repairs and delays, add construction efficiency, and more. Call today so ACS can help you determine the depth, direction, and distance of underground utilities before you dig, drill, or design a new project in Connecticut . Admiral Conservation Services (ACS) Underground Solutions is a privately owned consulting company that provides Utility Mark Out, services to construction professionals and property owners throughout the Connecticut area. Site and office personnel are fully qualified and trained to provide creative and cost-effective solutions to your problems. Contact Us about our Utility Mark Out Services in Connecticut .